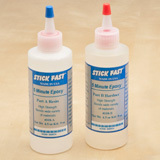 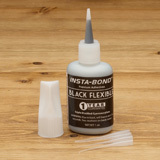 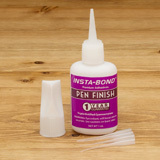 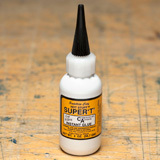 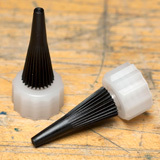 There are a number of options for gluing brass pen tubes into pen blanks. 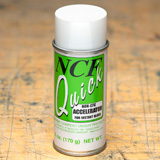 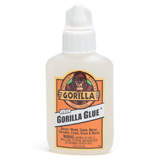 We offer a number of high quality cyanoacrylate (fast setting) and expanding polyurethane (slow setting) adhesives for gluing pen tubes. 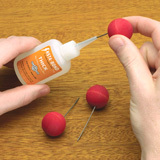 Simply spread the adhesive evenly on the pen tube and press into place. 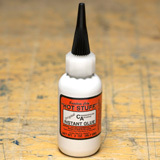 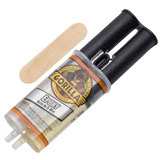 Choose from Gorilla®, Hot Stuff® and Insta-Bond™ adhesives to get the job done right.